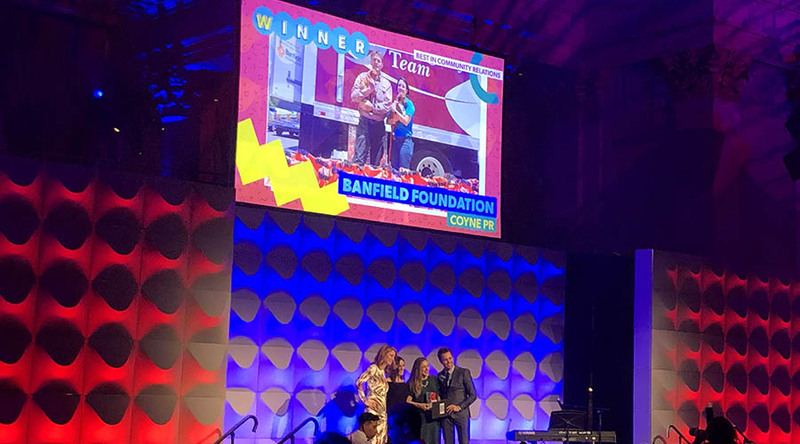 Coyne Public Relations is proud to announce that its work has been named Best in Community Relations on behalf of its longtime client partner Banfield Pet Hospital and charitable partner, Banfield Foundation. 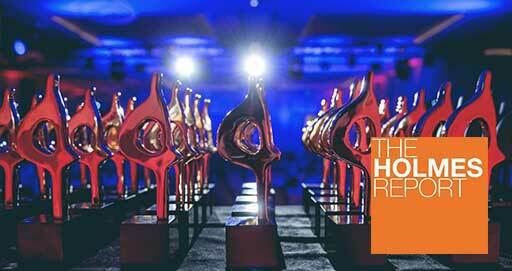 The PRWeek Awards are given each year to the best campaigns in the public relations industry. The campaign, titled “The Calm Before the Storm: Including Pets in Your Family’s Disaster Planning,” was born out of the devastating 2017 hurricane season. With Hurricanes Harvey, Irma and Maria, not only were hundreds of thousands of people affected, but thousands of pets were left behind or displaced. California wildfires began not long after, and a whole new region had to make heartbreaking decisions when it comes to potentially leaving pets behind in the face of an emergency. Soon after, a Banfield Pet Hospital study revealed that 91 percent of pet owners are not prepared for the next natural disaster – a shockingly high statistic, proving the need for education and change. In response, the Banfield Foundation developed pet disaster preparedness kits and challenged Coyne PR to raise awareness and educate both local and national communities on the need for a specific disaster preparedness plans for pets. Coyne kicked off a two-phased disaster preparedness campaign prior to hurricane season to encourage pet owners to be ready before a natural disaster strikes. This included local community outreach in Houston for National Animal Preparedness Day, as well as a Public Service Announcement (PSA) and timely social media content with former “Bachelor” and Hurricane Harvey responder Sean Lowe, timed to the start of the 2018 hurricane season. The subsequent campaign not only resulted in millions of impressions in national outlets and across key markets; it increased donations, allowed kits to be delivered to high-risk markets, as well as increased traffic to the Foundation website. Most importantly, the campaign encouraged pet owners in key markets to act in the face of the next natural disaster, helping to keep the whole family together. 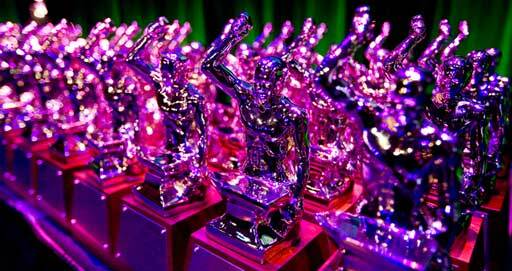 For a full list of winners in all categories, click here. 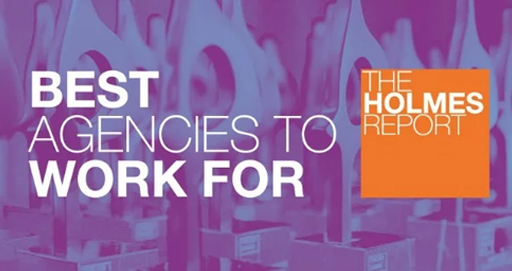 Now entering its 20th year, the PRWeek Awards are firmly established as the communications industry’s highest accolade. 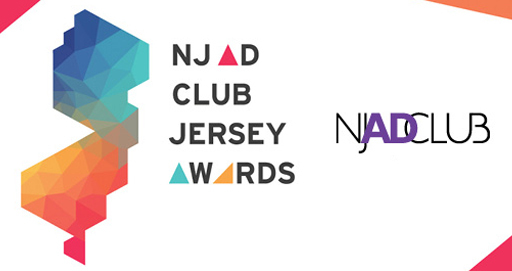 They celebrate the best of the best corporate, agency, nonprofit, and education teams, and the work they produced during the entry period. Only a limited number of trophies are awarded each year, so each one is truly special – and the competition to claim them is intense. As one of the Top 10 Independent PR Firms in the U.S., Coyne PR delivers programs built on a foundation of stand-out creative, integrated thinking and activation capabilities to effectively convey messages across paid, earned, shared and owned channels for its clients. For more information, visit www.coynepr.com.